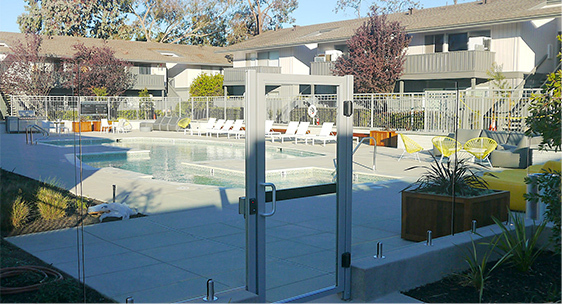 This new construction project at The Lagoons apartments involved installing frameless glass pool fencing and a commercial aluminum gate system. The gate is equipped with a panic bar and electronic key reader system to meet code and ensure the safety of the residents. 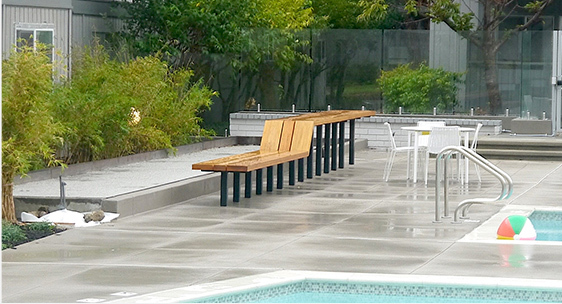 This community “makes the dream of luxury waterfront living a reality”, and the glass pool fence is a perfect complement to its fresh, modern style.